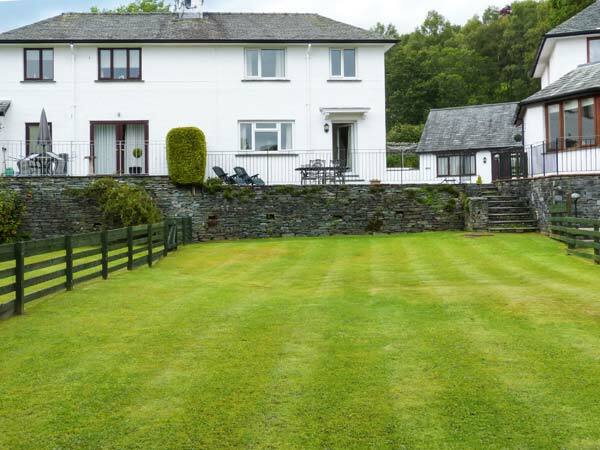 Thompson Cottage is a lovely, semi-detached cottage set in a charming country location, 2.3 miles from Ambleside in the Lake District National Park. With three bedrooms including a double, a twin and a single, this cottage can sleep up to five people. There's also a first floor family bathroom along with a ground floor wet room. Also on the ground floor is a kitchen with dining area, a utility room and a sitting room with woodburner. Outside, there is a rear lawned garden with raised patio and furniture along with a front patio area with furniture and off road parking for two cars. There's also lockable bike storage available. 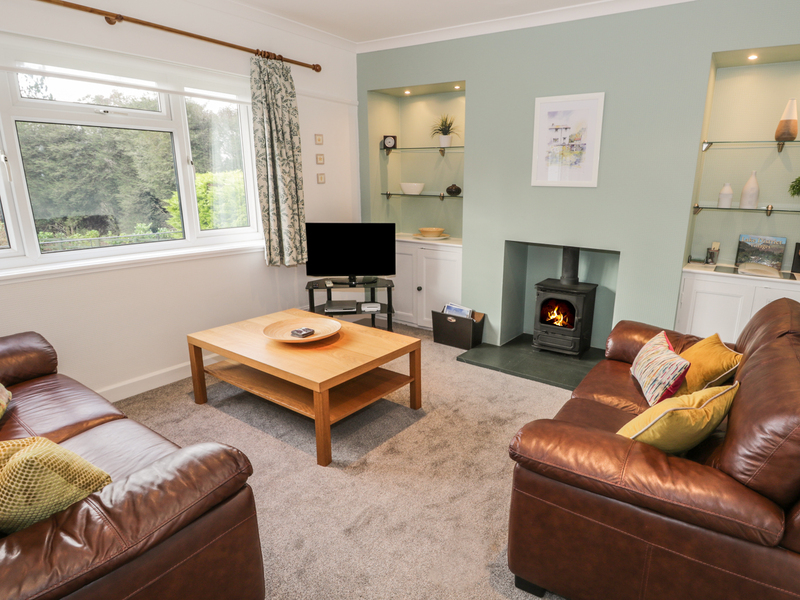 With wonderful walks from the doorstep and lots of the things to see and do nearby, Thompson Cottage is a fantastic holiday home is a delightful location. Three bedrooms: 1 x double, 1 x twin, 1 x single. Bathroom with bath, separate shower, basin and WC. Ground floor wet room with shower, basin and WC. Kitchen with dining area. Utility. Sitting room with woodburning stove. Gas central heating with underfloor heating in kitchen and woodburning stove. Gas oven and hob, microwave, fridge, freezer, washer/dryer, dishwasher, TV with Freeview, DVD, WiFi, selection of books and games. Fuel, power and starter pack for stove inc. in rent. Bed linen and towels inc. in rent. Cot and highchair on request. Off road parking for 2 cars. Lockable bike storage. Lawned garden with raised patio and furniture, plus front patio with furniture and BBQ. Sorry, no pets and no smoking. Shop and pub 2.3 miles. Note: There are 8 steps down to the rear lawn from the patio.